Bastien BLANCHARD (ABC Communication) handed Cody WEBB the 1500€ cheque offered by Akrapovic Exhaust in the Bizkaia Arena on Saturday night. Undoubtedly, the Super Pole powered by Akrapovic has, for the sixth year in a row, been a great success! 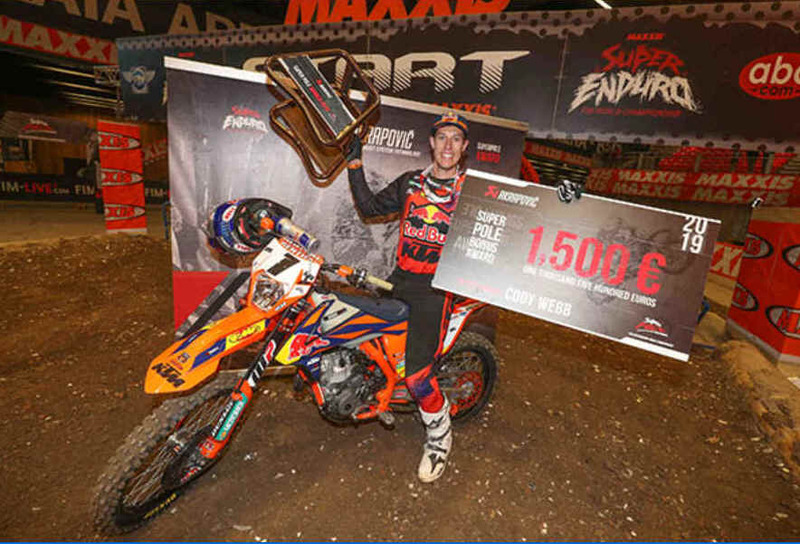 Riders and fans alike really enjoy this fierce battle for the "best lap time”, and it's now an essential part of the SuperEnduro show!